Monitoring and managing the health of your network is a critical consideration when designing, purchasing, and deploying equipment for your communications system. Equally important is ensuring that you maximize your network’s return on assets by increasing system throughput and uptime, improving the utilization of networked devices, and finally, supporting the deployment of maintenance resources when problems surface. MDS™ PulseNET Network Management Software was designed specifically for MDS Industrial Radio communication systems and satisfies the real-time needs of customers who are responsible for managing them. 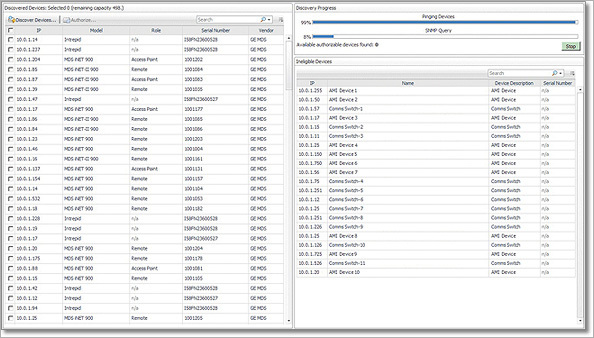 MDS PulseNET software is unique, as it requires no customization to get started – offering true, out-of-the box functionality. With over a million and a half devices installed around the world and twenty-five years of experience, GE is aware of the challenges our customers face when it comes to effectively managing their communication networks. 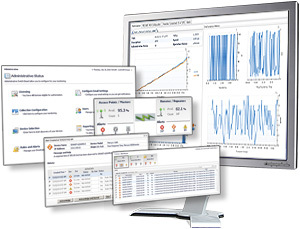 MDS PulseNET software provides the insight and detailed system performance allowing you to intelligently and proactively manage your radio communications network. Covering GE's MDS wireless product portfolio, from data acquisition to backhaul, MDS PulseNET is capable of creating, storing and software trending derived metrics using built-in program logic. The raw metrics collected from network devices must be correctly manipulated into meaningful data before the information can be presented to the end-user. MDS PulseNET software is designed to monitor the critical elements of a communications network, from RSSI to SNR to device communication status. With vast amounts of raw data created and stored over time, it can be difficult to prioritize corrective actions. MDS PulseNET software provides warning performance thresholds that can trigger exception events, which in turn can trigger specific actions, such as sending messages to trouble ticketing systems or other management systems. Additionally, these event-triggering thresholds can be easily changed within the software to meet unique customer requirements. MDS PulseNET software requires minimal effort to install and operate, provides pre-built specific device warning thresholds to eliminate the guesswork, and provides visibility into radio communications that have historically been unmanaged. MDS PulseNET software provides multiple, concurrent, role-based logins through a web interface so that each user is able to see exactly what they need to fulfill their individual responsibilities. 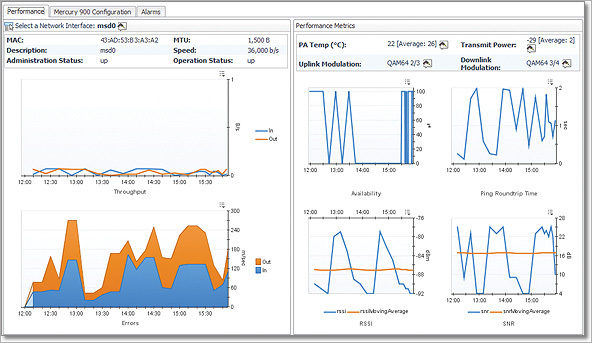 MDS PulseNET also provides the operator with immediate access to performance trending graphs through the same simple navigation scheme. It normalizes the views for disparate technologies into simplistic and easy-to-use dashboards. The main dashboard provides a high level status of each set of functional components being monitored. Once your system is properly configured, it can automatically discover your network devices, assign licenses to the devices and begin monitoring the network. Supports MDS iNET and MDS Mercury Series wireless radios. Out-Of-The-Box preloaded data collection settings with recommended alert levels. Schedule a global upgrade(s) or change to common models, specific networks, etc.